1. 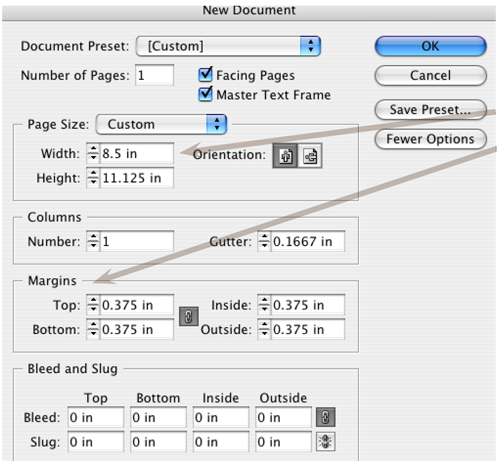 Set up the document to the bleed size.These sizes depend on the section. 2. Set your margin guides so that it will be the live area. All graphics and text that you don’t want to be cut off must be within the margin settings. Margins on all 4 sides should be set at .375”, but check with your sales rep as different sections may have different live areas. 4. Finished Pdf should be the document size without any crop marks or excess white space on the outside edges. Click here for Niche chamber guide and map ad sizes.